The man accused of killing a Carlsbad woman the night before Thanksgiving will face a judge Tuesday. 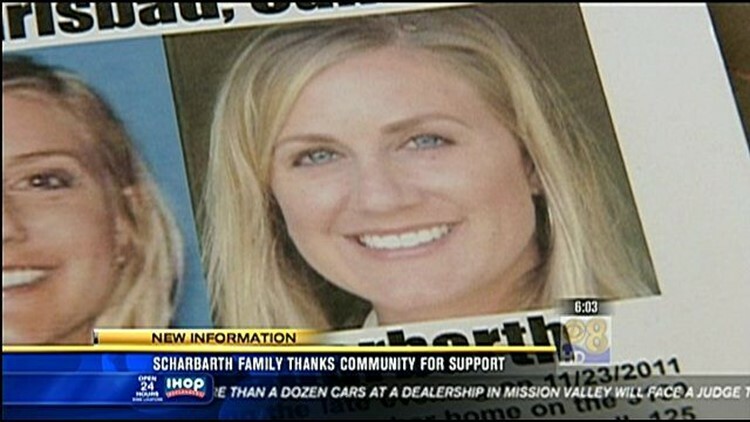 SAN DIEGO (CBS 8) – Days after learning about the death of their sister, Kathleen Scharbarth's siblings are speaking out. She went missing the night before Thanksgiving. Her body was found Friday in a remote section of the county. Now Kathleen Scharbarth's ex-boyfriend is being held in connection with her death. Scharbarth's siblings expressed a rollercoaster of emotions when we sat down with them Tuesday. They described her as a loving daughter, sister and mother. "I love my sister, I miss her dearly. She was my best friend. She's the light of my life," Melissa Scharbarth said. Melissa Scharbarth's heart is heavy as she grieves the loss of her older sister Kathy, who was allegedly kidnapped and murdered by Michael David Robles. Michael Scharbarth has the fondest memories of his 34-year-old sibling, whose strangled body was discovered by authorities Friday night in a shallow grave off Rice Canyon Road near Highway 76 in the Pala area. "We lost Kathy not to old age or anything, but to murder, and this comes as such a shock to all of us. It's just a lot to take in at this point," Michael Scharbarth said. Investigators believe the 43-year-old Robles somehow gained Kathy Scharbarth's trust late Wednesday night at her Carlsbad condo. Scharbarth's 13-year-old daughter Madison was sleeping upstairs and didn't hear a thing. Family members say the eighth grader is well aware of what happened to her mother. "She knows she's loved. She just wants to continue to have her mom's memory carried on, and can't help it without seeing those almond-shaped eyes," Melissa Scharbarth said. Kathy Scharbarth's loved ones are not saying much about Michael David Robles, but they want justice for what he's accused of doing to her. "We're looking for answers to make sense of all of this, and there's nothing. There's always going to be a void. There's nothing that can replace Kathy," Michael Scharbarth said. Michael David Robles is being charged with suspicion of kidnapping and first-degree murder. His arraignment is set for 1:30 p.m. Wednesday in Vista Superior Court.